WATCH: Why Does a Wheel Bearing Fail? WATCH: What Are the Symptoms of a Bad Wheel Bearing? In our 2019 Distribution Preview in the January issue of Counterman, aftermarket leaders reflect on the highlights and accomplishments of 2018, and discuss their plans, goals and expectations for the year ahead. CM: What were some of the highlights for the association in 2018? BL: AASA played in a key role in government advocacy, fighting for the rights of repair shops, vehicle owners and the industry, successfully obtaining exemption in the Digital Millennium Copyright Act (DMCA) to allow independent aftermarket repair professionals the right to reuse vehicle software to reflash software-enabled components. AASA brought landmark research on product growth/decline trends through 2030, vital to suppliers, distributors and repair professionals in preparing for the transformation in vehicle technology. Similarly, AASA created platforms for industry dialogue, bringing clarity to the broad range of possibilities, predictions and timing for fully automated, electrified, connected and shared vehicles. More narrowly, AASA’s councils, consisting of leading manufacturer executives – the Brake Manufacturers Council, Marketing Executives Council, Overseas Automotive Council, Modern Industry eXpertise, Vehicle Data Working Groups, China Aftermarket Forum, IP Council and Mobility Technology Council – each have contributed to the mission of advancing the industry and serving aftermarket customers. CM: What does AASA have planned for 2019? Win the right for motorists to retain their freedom of choice for vehicle maintenance and service. Prepare suppliers and the industry for the strategic shifts and transformations occurring in the automotive aftermarket – be it technology, new business models or the impact of government regulation/legislation. Play a leadership role in bringing the industry together to solve some of our significant, overarching challenges … together. We are all connected. CM: What would you like to see the association accomplish in 2019? Work with the Coalition for Automotive Repair Equality (CARE), the Auto Care Association and others to move the aftermarket’s technical solution for data access, the Secure Vehicle Interface (SVI), forward. Create a roadmap and path forward to owners’ freedom of choice for their vehicle’s repairs and maintenance, including open collaboration and dialogue with OEMs or other paths, as required. Identify and help members and the industry capitalize on the opportunities being created (ADAS, CASE, etc. ), doing so through AASA industry events and councils. Bring industry leaders together – including, but not limited to, the Automotive Warehouse Distributors Association, the Automotive Service Association, the Equipment and Tool Institute, CARE, the Auto Care Association and the Automotive Industries Association of Canada – to leverage our strengths and amplify our voice to ensure a vibrant future for all stakeholders. CM: How are you feeling about the business environment for the automotive aftermarket in 2019? BL: AASA is cautiously optimistic, although we have the same uncertainty that our members have. In our meetings with members, we point to key market fundamentals that are in our favor, including the increasing number of vehicles on the road, the aging of these vehicles and the total number of miles driven. However, we discuss uncertainty in the market as well. For example, we relay information about the meetings we have with the Trump administration about the tariffs – members want to understand how tariffs work and the impact on their plans, their sourcing and their sales. Other factors adding to the uncertainty include rising interest rates and the risk of a recession. So, while most members are optimistic about 2019, the number who are pessimistic has increased slightly. CM: What are some of the macroeconomic and/or regulatory issues that could have an impact on the aftermarket in 2019? BL: There are several macroeconomic and regulatory issues that could impact aftermarket employment, innovation and market growth. For example, because the motor-vehicle parts manufacturing industry accounts for so many jobs in our nation, we are concerned with how government actions could affect employment in this sector. On the positive side, the economy will benefit from increased consumer purchase power derived from recent strong fiscal stimulus. Tariffs could disrupt established sourcing, production and business models of suppliers and potentially lead to competitive disadvantage, higher prices and even interruptions of production. The aftermarket has thrived in a free-trade environment, but this could be threatened by tariffs and the potential for more protectionism emerging around the globe. Management must navigate a rising interest-rate environment in 2019, as the Federal Reserve Board, after increasing interest rates four times in 2018 and nine times in the past three years, indicated it will raise rates two more times in 2019. The uncertainty about CAFE standards. Much of the innovation in today’s vehicles can be traced to higher CAFE standards over the years, and there is much invested in meeting the Obama administration’s 2025 target of 54.5 mpg. However, it is uncertain whether the 2025 target levels will remain in effect, as the Trump administration is proposing to retain the current lower levels. This is likely to lead to extended litigation – and therefore uncertainty – as states fight to retain their right to adopt emission standards higher than the national minimum. Relaxed CAFE standards also could slow the adoption of electrification. Advances in vehicle automation could be affected by increased government regulation. 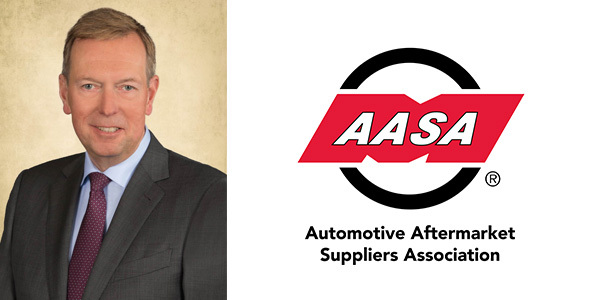 On April 3, AASA will present its 2019 Vision Conference to help aftermarket suppliers and channel partners with their strategic planning for the uncertainties and the opportunities ahead. More details are available at www.aftermarketsuppliers.org/events/vision-conference.